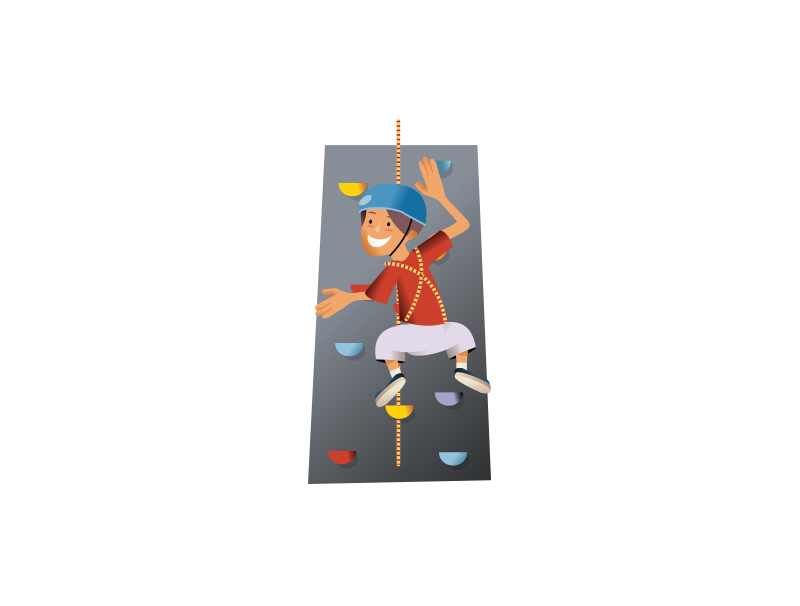 Challenge yourself and build team work skills all the while trusting your group as you climb the vertical rock wall. Teams of at least 4 rotate through having a go at climbing and belaying their team mates up the wall. The first quarter of the wall is a rope web continuing onto a man-made wall with holds and climbs that suit all ages and skill levels.</P.